Dr. Avnish Jolly, Canada, Friday, May 13, 2016 : A major blow to the followers of Sant Nirankari Mission (SNM), Baba Hardev Singh , 62-year-old principal priest of Sant Nirankari Mission, passed away. Encountering a brutal accident in Montreal, Canada Nirankari Baba Ji was passed away on the spot. The SNM was established in 1929, by Baba Buta Singh, who was later on succeeded by Baba Avtar Singh. According to the reports Baba Ji was killed in a car accident. Condolences have poured from different parts of the world and his death has been a shock for believers around the world. Baba Hardev Singh was in Canada for holding spiritual meetings. The second Nirankari International Samagam (NIS) was scheduled to be held in June at Toronto. The theme of this international meet was Humanness. Baba Hardev Singh was born to Gurbachan Singh and his wife Kulwant Kaur, the previous Satguru of the Nirankari Mission. In 1971, he started his journey in Nirankari Sewa Dal as its primary member who changed his entire thought process. Baba Hardev Singh gained high amount of popularity in the Western world, where his ideology was endorsed not only by a major section of migrant Sikh community, but Christians and Atheists as well. In the last two decades, SNM had grown significantly in the United States and Canada. Under the guidance of Baba Hardev Singhi, the mission had set up more than 2000 centres around the world. 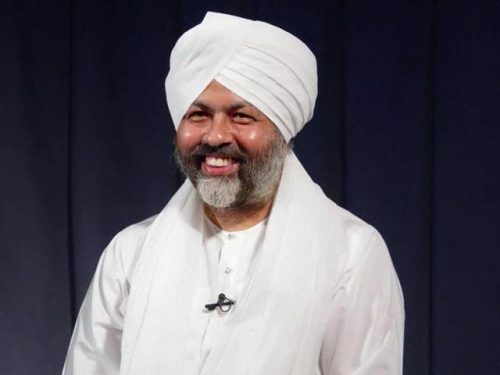 Baba Hardev Singh advocates, “Real beauty lies in the mind, not in physical cleansing. Until the mind is embellished with divine virtues, there can be no cleansing. Human beings may well look impressive in their outward worship, but God knows the true state of their minds”.